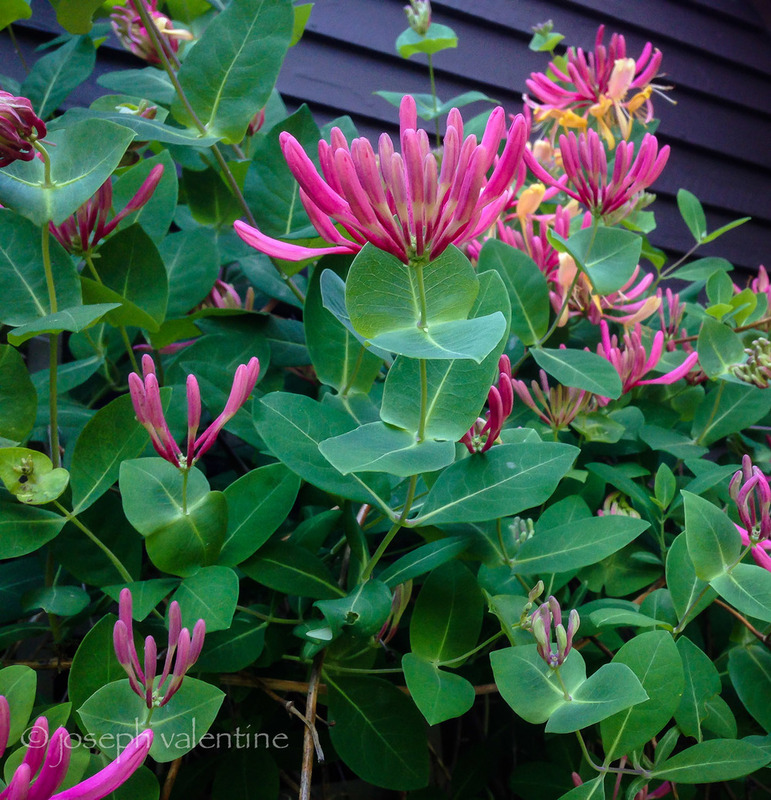 We planted this Gold Flame Honeysuckle (Lonicera x heckrottii ‘Gold Flame’) by a side door to the house many years ago and keep it pruned so that when it’s in bloom it serves mainly as a colorful accent, much in the same way as you would use a container by the doorway. 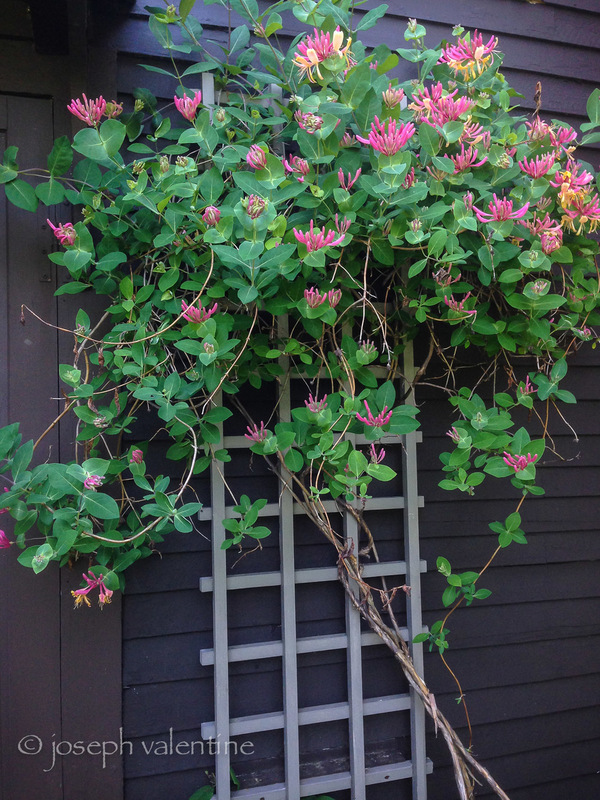 Honeysuckles are notorious for attracting aphids and, indeed, we have had that problem with several other varieties that are planted around the garden. However, we have never experienced much of an invasion with this variety. Or, a problem with mildew, which is also another complaint with honeysuckles. This may be because we have it planted in a dry location that receives mostly morning sun. As for Gold Flame's fragrance, I can’t say that it will knock you over. We originally planted Gold flame right by the door, hoping that its aroma would catch the breeze and nicely scent the room when it bloomed in late spring. You will see Gold flame advertised as having “fragrant bicolored blossoms” and it’s true that they do have a pleasant, sweet fragrance if you stick your nose right in there. 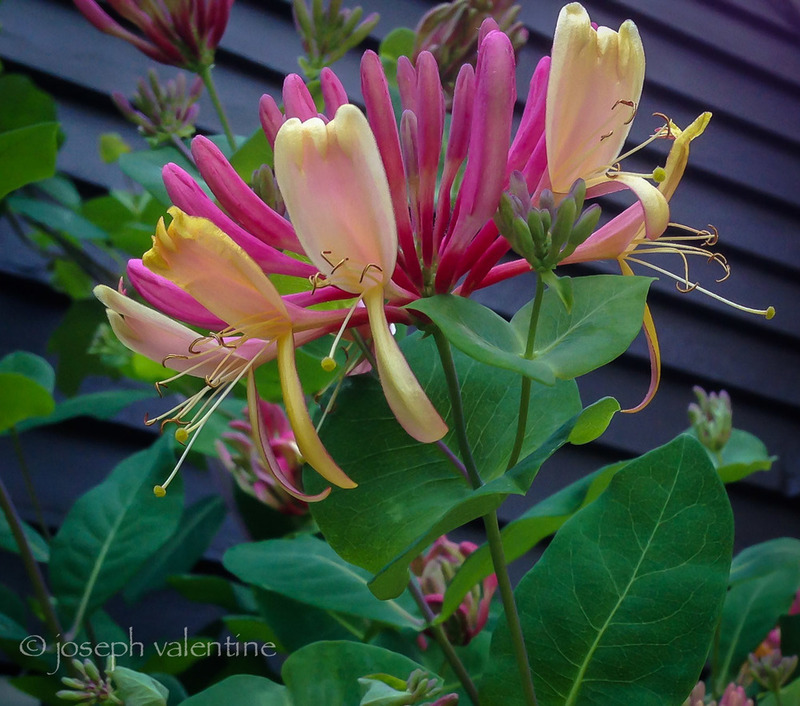 However, it is not the kind of honeysuckle that will waft clouds of perfume through the garden and into the house. Nevertheless, the handsome flower color and its rather neat growing habit make it a plant worth recommending. And, the hummingbirds seem to love it!